The most romantic part about love letters isn’t the touching words. It is the whole thought that went into the letter and how it is delivered. 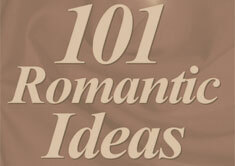 Here are some great ideas of what couples have done to write and send love letters.